zipForm Plus is a web-based transaction management tool designed specifically for real estate professionals. It allows agents to manage and track their transactions, share and store documents, collaborate with team members and clients, create contracts, generate reports, and more. In this article, we cover user reviews. Ready to try zipForm Plus? Request for a demo. Users who gave zipForm Plus a positive review said that the software helps them get their paperwork signed even when clients are out of town, which is convenient on the part of their clients. They also mentioned that it helps them organize their documents in one place. One user who gave zipForm Plus a positive review on G2 Crowd said that it is very simple to use and is easy to access. He likes that all of the forms are easy to find and that zipForm Plus’ help hotline makes it convenient for him to get help whenever he has concerns. Users who gave zipForm Plus a negative review complained that they are not given a heads-up whenever there are updates that will be made. They also mentioned that changing field formats in documents is a bit challenging. One user who gave zipForm Plus a negative review on G2 Crowd said that changing formats in the fields is hard to manage and figure out. He said that the form keeps on auto-formatting whenever they try to change something on it. zipForm Plus pricing is not readily available on its website. Pricing for similar providers costs $7.50 to $450/month, depending on the number of agents or number of transactions created per month. Ready to try out zipForm Plus? Request for a demo. Best Real Estate Transaction Management Software: Reviews & Recommendations — Paperless office platforms combine e-signature functionality, custom document creation, compliance review, and secure document storage into one easy-to-use package. In this guide, we compared DocuSign, Dotloop, and SkySlope in terms of features, ease of use, and pricing. Read on to find out which among the top leading providers of real estate transaction management software suits your business needs best. 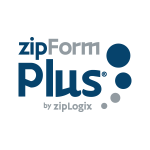 What are the recommended system requirements to be able to use zipForm plus? To have a better experience in using zipForm Plus, they encourage users to have a laptop or desktop computer running on Windows 10 or Mac OSX operating system with 8GB of RAM and updated versions of browsers like Internet Explorer, Safari, Mozilla Firefox, Google Chrome, and Microsoft Edge. They also recommend a 1920 x 1280 screen resolution (or higher) and a PDF viewer that meets Adobe PDF standards. Does zipForm Plus offer a free trial for their software? 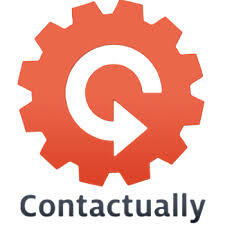 There is no information on their website for a free trial of their software. However, they give demo accounts for 30 days for REALTOR members. Not sure if zipForm Plus is the right fit for you? Read our reviews of all top real estate software providers or check out one of these three zipForm Plus competitors.